Doskladnění titulu trvá cca 20 dnů. By weaving the voices and anecdotes of his wife and children with his own inspirational and informative stories, exercises, and parables, he has created a book with something for all parents interested in enhancing the strength and beauty of their own families. Covey suggests writing a family mission statement, implementing special family times and "one-on-ones," holding regular family meetings, and making the commitment to move from "me" to "we" as techniques to improve family effectiveness. Covey is a brilliant storyteller. (Habit 1: Be Proactive, Habit 4: Think Win-Win, Habit 6: Synergize) to apply to parenting and family-life issues. 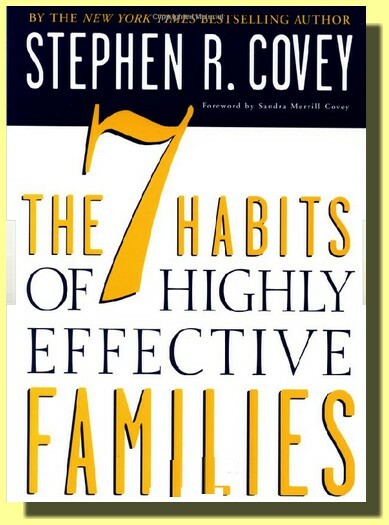 Here, Covey reinterprets each of his now famous "habits"
He promptly answers with four words: "a beautiful family culture."